Rode Microphones's parent company Freedman Electronics is celebrating their 50th anniversary this year and to commemorate this event, Rode is slated to release a bunch of new exciting microphones in addition to their latest generation on-camera microphone for DSLR and compact camera users called the Rode VideoMic PRO+ later in 2017. The Rode Video Mic Pro has been around for quite some time and pretty much anyone that has ever used a DSLR to shoot video has used at some point. The mic has gone through a few versions, each building on the strengths of the previous version and improving things such as the suspensions and capsule. Now it looks like the new "Plus" version will be no different - the new VideoMic Pro+ will offer a redesign and and add new features to make the compact camera video experience even better with better audio and ergonomics. 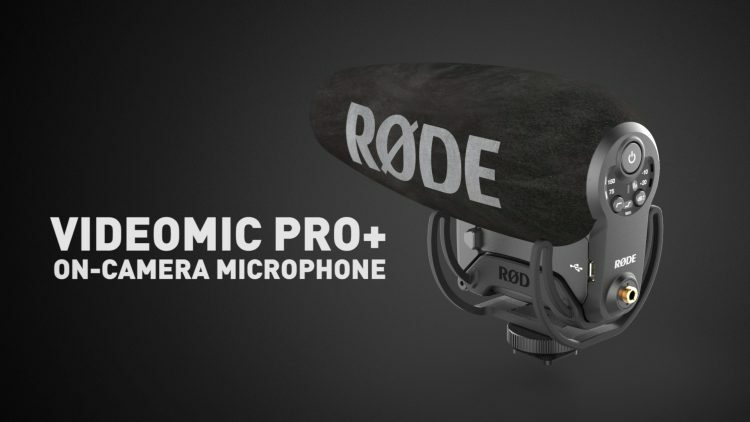 The new VideoMic Pro+ carries some of the internals from the StereoMic X, which is a phenomenal microphone by itself. The new Pro+ will also have a detachable 3.5mm lead and can now be powered by readily available AA batteries instead of the single 9 volt battery on the current version. The new mic also features a 2 stage high pass filter at 75 and 150Hz and an updated windshield. The Lyre suspension from the current generation VideoMic Pro is also an added benefit on the pluses of the new mic. There is no estimated date for shipping yet or pricing, however we'll know more as we move into 2017. I am sure that based on the affordable pricing of the rest of the Rode lineup, I'd imagine the new Pro Plus to be quite affordable as well. You can get the current Video mic Pro here.